In 2017, there were 147K jobs advertised over the whole of the UK where the employer indicated that the role can be based remotely or where working from home is possible on a full time or part time basis. This is a 27% increase on 2015. 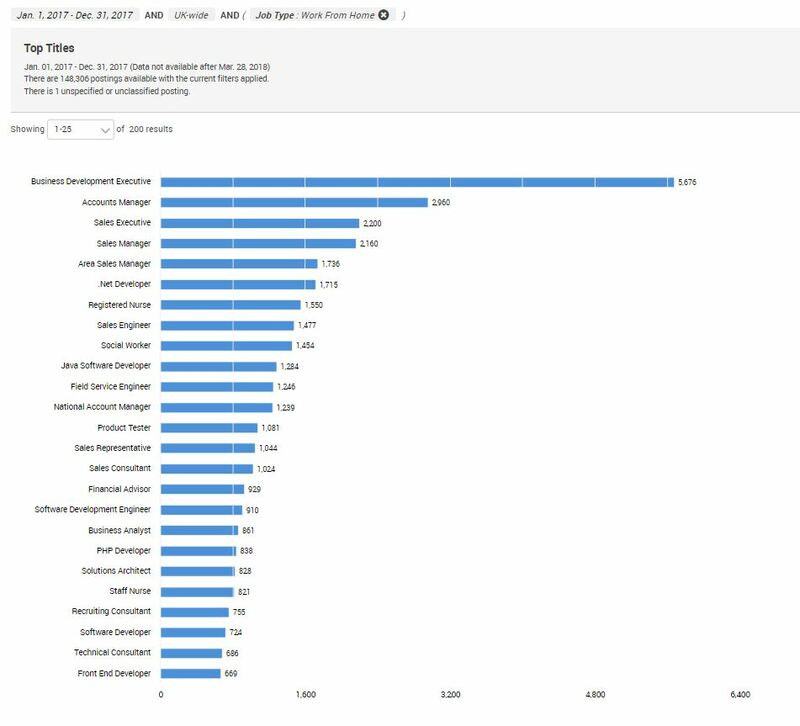 As the number of companies advertising vacancies where the employees are able to work from home is growing exponentially, Burning Glass have added the ability to track this trend within LMI tool Labour Insight. 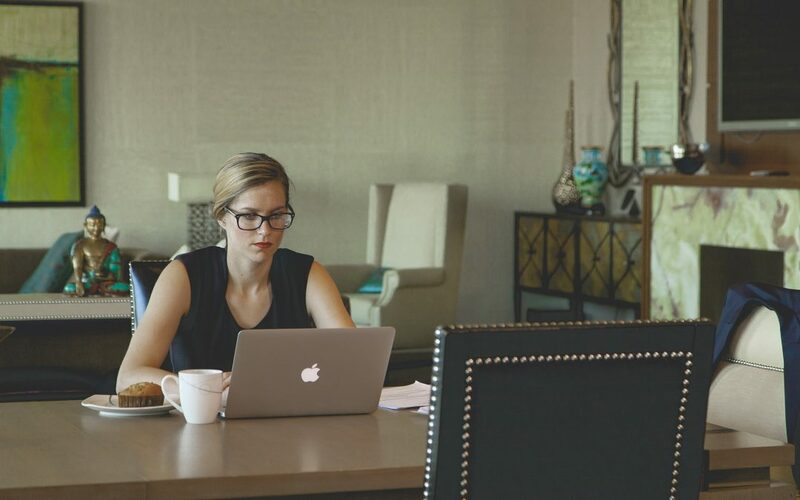 As you may expect, technology features heavily in giving workers the flexibility to work from home, and as such, desk-based jobs in sales and tech are those most often offered for home working. Business Development Executives are almost twice as likely to be able to work from home than those working in other professions. Financial services company Aviva are the leading employers offering specific roles working from home as well as a general policy of home working and flexible working initiatives where appropriate for the role; followed by HSBC and consumer test company UK Consumer Panels – nearly 10% of all working from home roles where employer has been specified, are with these three companies. 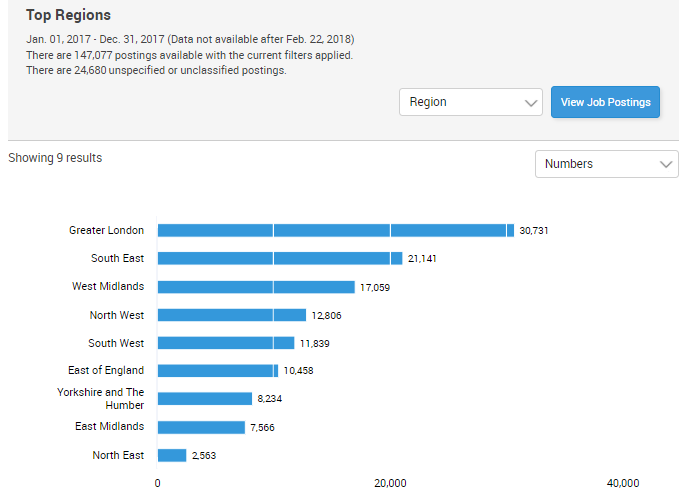 The chart below shows ‘working from home’ vacancies broken down by region in 2017. (The 24K unspecified indicate postings where the employer has not given a town where the head office is located so the employee could be based anywhere in the UK). The West Midlands and the North West are showing the fastest growth in home working opportunities since 2015 – work from home opportunities advertised have increased by 70% and 44% respectively in these areas. Growth in ‘work from home’ opportunities in the West Midlands has been boosted by the relocation of HSBC from London to Birmingham in 2017. Having remotely based staff is of great benefit for service companies allowing them to be closer to client sites and cut down on traveling time and costs. It also offers greater flexibility and increased productivity for staff when the commuting time is reduced to walking downstairs. Interestingly, the top baseline or soft skill requested by employers for almost every occupation is communication skills so companies with remote staff need to strive to improve communication so their home based staff feel connected. Until next time, please let me know if you would like help in building this picture on a local level.